Cloud service brokerage has been identified as a key concern for future Cloud technology research and development. Integration, customization, and aggregation are core functions of a Cloud service broker. The need to cater to horizontal and vertical integration in service description languages, horizontally between different providers and vertically across the different Cloud layers, has been well recognized. In this chapter, the authors propose a conceptual framework for a Cloud service broker in two parts: first, a reference architecture for Cloud service brokers; and second, a rich ontology-based template manipulation framework and operator calculus that describes the mediated and integrated Cloud services, facilitates manipulating their descriptions, and allows both horizontal and vertical dimensions to be covered. Structural aspects of that template are identified, formalized in an ontology, and aligned with the Cloud development and deployment process. Organizations active in the Cloud technology space, such as Gartner and NIST (Gartner, 2012; NIST, 2011), have identified Cloud service brokerage as a key concern for future Cloud technology research and development. Cloud service brokerage refers to the customization, aggregation, and integration of existing Cloud services, possibly by third parties. We identify some conceptual problems of service description and provide a contribution towards the implementation of a Cloud brokerage solution. Integration, customization, and aggregation are core functions that a Cloud broker needs to perform. Possibly heterogeneous services need to be aligned in terms of the description of their abilities and constraints for them to be integrated and their coordination to be facilitated at runtime. We propose a conceptual description framework for a Cloud service broker based on two parts: firstly, a reference architecture for Cloud brokers; and secondly, a service description template notation that describes the mediated (i.e., customized, aggregated, or integrated) Cloud services and allows their manipulation. 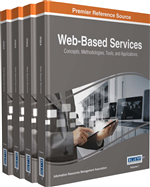 Our conceptual reference architecture extends the NIST Cloud architecture specification. The NIST architecture is not sufficient as a common reference framework. This architecture does not detail how the integration between services - horizontally between different providers and vertically between the different Cloud layers (Ambrust et al., 2010) can be facilitated. Moreover, many current service modeling and specification approaches do not adequately cover the vertical integration across the Cloud layers: infrastructure (IaaS), platform (PaaS) and software (SaaS) (Konstantinou et al., 2009; Mietzner, Leymann, & Papazoglou, 2008). We define a conceptual model and operator calculus for a service description template that would allow both dimensions to be covered. Structural aspects of that template will be identified, formalized in an ontology and aligned with the Cloud development and deployment process. The need to cover horizontal and vertical integration in a specific service description language has been recognized (Nguyen et al., 2011; Papazoglou & van den Heuvel, 2011; Bernstein et al., 2009). Specifically, the need to deal with federated Clouds while still considering all Cloud stack layers is acknowledged. We go beyond current solutions with a rich ontology-based template manipulation framework. The term template shall here subsume service descriptions known as recipes, manifest or blueprints in other contexts. The term shall also indicate that a template is an abstract, pattern-like artifact that can be instantiated. This chapter is organized as follows. The next section provides background information on Cloud brokerage. The following section defines the reference architecture and introduces the service template. As this concept plays a crucial role, it will be investigated in more depth in the other sections. Further, we outline solution architecture for an implementation based on open-source Cloud platforms and discuss some trends in this space. Both Gartner and NIST define Cloud Service Brokerage (Gartner, 2012; NIST, 2011). They follow a similar three-pronged classification. They define a Cloud service broker as an entity that manages the use, performance, and delivery of Cloud services and negotiates relationships between Cloud service providers and Cloud service consumers. We now detail the Gartner types, which we adopt in our reference architecture. Gartner’s customization focuses on enhancing existing service. Gartner integration highlights flexible mediation and integration of different systems. For each type, we name the typical broker function (agent), the application types (application), and standard functionality examples of brokered (or mediated) services (function).